differences from Bush administration policies and the practical difficulties of creating an effective political coalition in support of the new policy agenda. • Greater emphasis on executive-congressional relations in the policy-making cycle. • Examination of changes in the environmental movement, with particular attention to newly emerging cleavages over energy and climate issues. 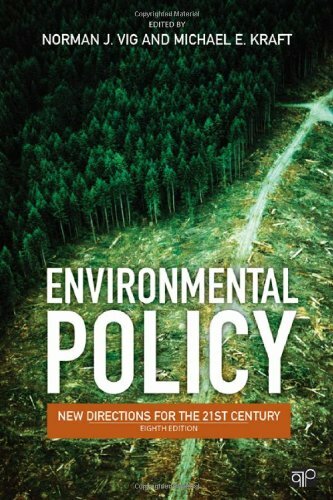 • A thorough updating of all policy chapters, including an examination of such topics as mountain top removal, the emergence of Bisphenol A as an endocrine disruptor issue, and the new NIMBYism. New and revised tables, figures, and other data illustrate key environmental information while a new, detailed timeline frames the initial chapter’s historical narrative of evolving environmental policy.